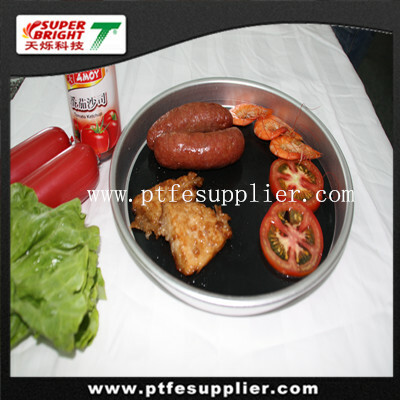 A PTFE Pan Liner is an insert designed to fit into pots, pans or other cooking devices to turn any fry pan into a non-stick pan or to renew old non-stick pans. They are typically made of heatproof materials and coated with PTFE, to ensure that food can be easily removed. Non-stick Frying Pan Liners are marketed for both domestic and professional use in cooking and baking. These reusable PTFE Pan Liners reduce cleanup, extend the life of cookware and provide many additional benefits, easy to clean in soapy water. High temperature resistance and excellent heat transfer, continuous operating Temp from -60~260°C, can be used repeatedly.